How would it feel to no longer feel sad, overwhelmed and alone? Imagine instead feeling full joy, self-confidence and love, excited about the life you are living. I can help you get all that…and more…by creating, together, a personalized plan to get you the life you have always dreamed of! 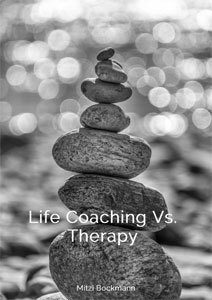 Why coaching instead of therapy? Simply type in your name and email below and I will send you a copy of my latest ebook, 5 LIFE CHANGING WAYS LIFE COACHING IS DIFFERENT FROM THERAPY, to help you figure out your next steps to the life of your dreams..
Have your life dreams been put on hold because of life or relationship struggles? Is your self-confidence low because of unmet challenges? you are preoccupied with how unhappy you are? Do you more often than not wake up sad and feeling alone? Do some days feel like such a slog that you can’t deliver your best to yourself and those you love? …want a deeper connection with your partner? …want to let go of a love that isn’t serving you? ….want to find the love of your life? …want to feel so self-confident that you feel like you can take on the world? …want to wake up every day happy that this is your life? …take a good look at your relationship and your life. …define what is serving you and what is not. …make a plan to fix what isn’t working. …to take the next steps to find the happiness and self-confidence you crave. …start living the life that you have always dreamed of and build healthier relationships as a result. …to support you in taking stock of your life and your relationship. …to guide you in designing a plan to find real love and joy. …to teach you tools to help you on your journey. …to hold you accountable each step of the way. …to celebrate with you when you reach your goals. You only have one life to live. Are you living it the way you want? Let me help you, NOW, to make sure your one and only life is exactly what you want it to be.